The Smetana Trio, founded in the year 1934 by the legendary Czech pianist Josef Páleníček, is today one of the foremost Czech ensembles. The Smetana Trio, founded in the year 1934 by the legendary Czech pianist Josef Páleníček, is today one of the foremost Czech ensembles. 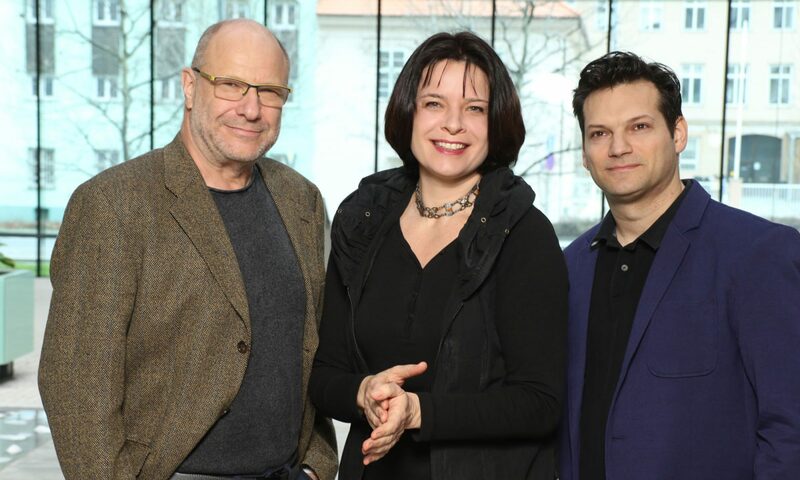 In 2014 the Smetana Trio celebrates 80th jubilee of its foundation. 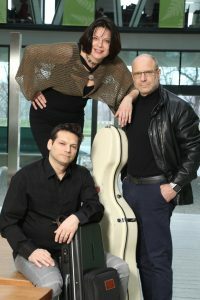 Today ´s members of the Smetana Trio – pianist Jitka Čechová, violinist Radim Kresta and cellist Jan Páleníček, can be seen frequently on leading concert stages both in the Czech Republic (Prague Spring, Janáček May, Moravian Autumn, Concentus moraviae, Malá Strana Chamber Festivities) and abroad (France, Germany, Switzerland, Great Britain, Benelux, Italy, Slovenia, Croatia, Japan, Brazil, USA, Canada, South Korea, Egypt). 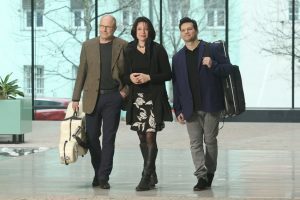 The Smetana Trio has made a number of recordings for Czech and international labels and has recorded regularly for Supraphon since 2000. This cooperation has brought a number of prestigious awards both at home and abroad – e.g. 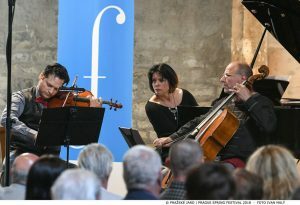 a CD with works by Smetana, Suk and Novák (Supraphon 2005) received prestigious awards from the French magazines Diapason and Le Monde de la musique. This recording was also chosen by the British BBC Music Magazine as its chamber music recording of the month in August 2005. Another Smetana Trio recording, this time works by Dvořák (Supraphon 2006), was again voted by the BBC Music Magazine as the best recording of the month in September 2006 and later received the BBC Music Magazine Chamber Award for 2007 and also the prestigious French Diapason D’Or. The recording of trios by Tchaikovsky and Dvořák (Supraphon 2008) received the BBC Chamber recording of the month in December 2008. Other Supraphon recording project, released in autumn 2012, are complete piano trios by J. Brahms. The most recent recordings are with works by J. Brahms – 1st part of complete concertos (Double Concerto and Piano Concerto No.1 – TRIART Recording 2013) and complete recording of trios by Shostakovich and Ravel (Supraphon 2014) – MusicWeb International – recording of the month, June 2014. 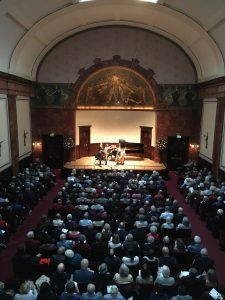 In 2015 the Smetana Trio recorded the new CD of the complete trios by B. Martinu, which received many international awards immediately – BBC MM Chamber Award 2017, BBC MM Recording of the month, Diapason d´Or, Sunday Times Recording of the week, TIP of the Harmonie etc. 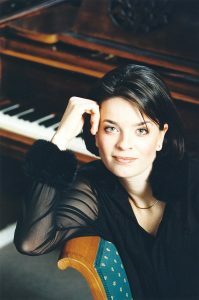 Pianist Jitka Čechová completed her piano studies at the Prague Conservatory (Prof. Novotný) and continued at the Academy of Performing Arts in Prague (Prof. Toperczer). 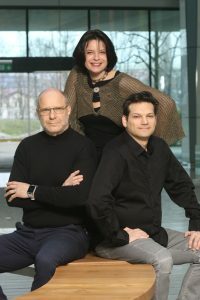 Her individual musical gifts were then developed to their full during postgraduate studies under Eugen Indjic in Paris and Vitali Berzon in Freiburg. She acquired further experience during her research studies at master classes given by Rudolf Kehrer in Weimar, and Eugen Indjic and Lazar Berman in Piešťany. Chamber music is an indispensable component of Jitka Čechová’s musical identity. She brings a full emotional commitment to bear to her role as pianist in the Smetana Trio, supported by the brilliant technical basis of her solo metier. 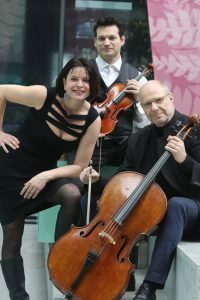 Within the Smetana Trio partnership she also plays chamber duets with her partners in the Trio (Radim Kresta – violin, Jan Páleníček – cello) and performs solo pieces as part of the Trio’s chamber music repertoire. Violinist Radim Kresta studied at the Conservatory in Brno under Prof. Bohumil Kotmel Senior and at the Academy of Performing Arts in Prague under the direction of Prof. Václav Snítil. During his studies at the Academy of Performing Arts he also attended private lessons given by Kogan’s pupil Valery Gradow in Mannheim. After successfully completing his studies at the Academy in Prague he studied privately under the American soloist and concertmaster Emi Ohi Resnick in Amsterdam. 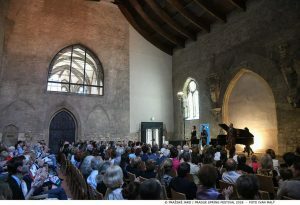 He also attended master classes for soloists given by Václav Hudeček, Pinchas Zukerman, Felix Andrievsky, and Semion Yaroshevich, and master classes in chamber music given by Jindřich Pazdera (the Stamic Quartet), the Artemis Quartet, Ralf Gothóni, Jacques Ammon, and others. 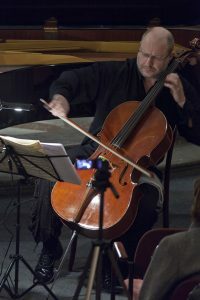 The orchestras Radim Kresta has performed with as a soloist include the Berg Chamber Orchestra, the Prague Philharmonia, the Prague Chamber Orchestra, and the Pavel Haas Chamber Orchestra. He has also worked with these orchestras as concertmaster and artistic director. 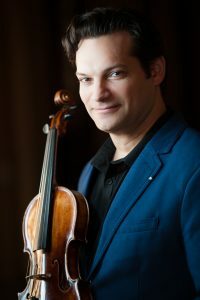 During the 2014/15 cycle of subscription concerts by the Czech Philharmonic, he was invited to take up the post of guest concertmaster of this most famous Czech orchestra. In competitions for soloists he has been awarded, for example, the Austrian “Prix Mercure” (second prize) in 1996, honorary mention in the “Prague Spring 1997” competition, and the prize of the Czech Music Fund Foundation. In 2006 he formed a piano trio, at that time known as the Taras Piano Trio, with which he won first prizes at the Johannes Brahms Wettbewerb in Austria in 2007, the Premio Rovere d’Oro in Italy in 2008, and the Val Tidone Competitions in 2010. Since the second half of 2012 this ensemble has performed as a piano quartet, and in this formation has achieved further outstanding successes in the form of first prize at two international competitions – at the Concorso Salieri-Zinetti in Verona in May 2013, and at the ACM Premio Trio di Trieste (one of the most prestigious competitions in this field) in September 2013. Since 2013 the ensemble has performed under the new name Josef Suk Piano Quartet (in memory of the famous 20th-century violin virtuoso Josef Suk Junior), and continues to achieve success both in the Czech Republic and internationally, for example being awarded the prize of the Czech Chamber Music Society for the best chamber ensemble in 2014, and receiving outstanding critical reviews in the prestigious British newspaper “The Guardian”, in “Gramophone”, on MusicWeb International, and elsewhere. 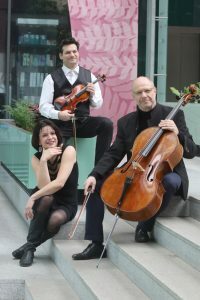 In 2018 Radim Kresta became a new member of the renowned ensemble the Smetana Trio. Since 2011 Radim Kresta has also been teaching violin at the Prague Conservatory. 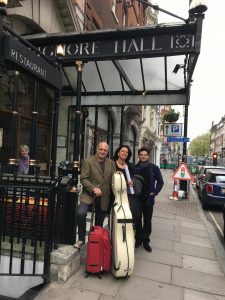 Cellist Jan Palenicek, as soloist and chamber musician is heir to a great musical family tradition that was established by his father Josef Palenicek, pianist, world-famous interpreter of Janacek, and founder of the first Smetana Trio. Jan Palenicek was the pupil of the greatest Czech cellists of their generation, Saša Večtomov and Miloš Sádlo, and studied chamber music with Prof. Josef Vlach (first violin of the Vlach Quartet). His meeting with Paul Tortelier, the French cellist of world renown, represented the culmination of his artistic training. His early participation in competitions brought him a number of prizes and accolades. Major concerto performances have been given with the Prague Symphony Orchestra, Brno State Philharmonic, Janáček Philharmonic Ostrava, the Lugano Festival Orchestra, the Suk Chamber Orchestra, the Monte Carlo Philharmonic, the Bamberg Symphony Orchestra, KwaZulu-Natal Philharmonic Orchestra in Durban, Symphony Orchestra Brasilia. Festival appearances include Prague Spring, Janáček May, Moravian Autumn and others. He has given concerts in most European countries as well as in Japan, America and South Africa. He has recorded more than two dozen CDs for home and international labels, highlights from which include concertos by Dvorak, Tchaikovsky, Haydn, Triple Concerto by Beethoven, Double Concerto by Brahms and the complete cello works by Brahms, Martinu and Rachmaninov. Chamber music is closest to Jan Páleníček’s heart. He did after all grow up in a chamber music environment par excellence. 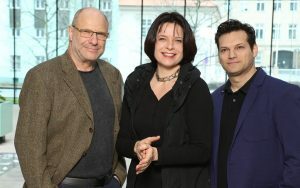 Jan Páleníček is a member of the world-famous Smetana Trio together with the violinist Radim Kresta and the pianist Jitka Čechová. For a number of years he taught at the Prague Conservatory and the Academy of Performing Arts. He is also prominent as an artistic director and organiser of cultural events. He is Artistic Director of the cycle of festivals “Czech Culture Festivities” and director of the art agency “TRIART Management”.